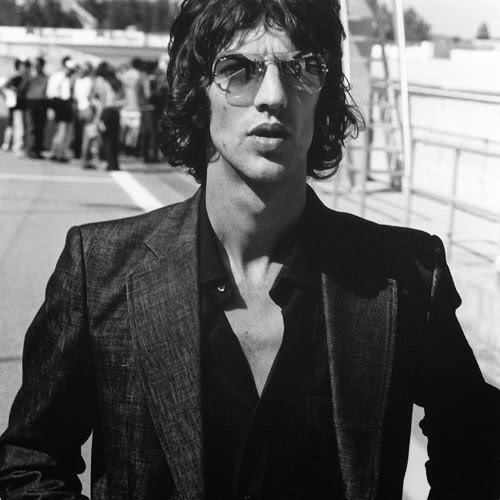 Former Verve frontman Richard Ashcroft's collaboration with The Chemical Brothers on their upcoming single "The Test" is an entirely improvised vocal performance, the singer told JAM! Music. During a break from work on his second solo album in London, Ashcroft revealed that "The Test," will be released in the coming month as the next single from The Chemical Brothers' new album, "Come With Us." "My way of doing it was to listen to a track for a couple of weeks. And then I like to turn up and make it happen," Ashcroft said Wednesday. "I had absolutely no idea what the words were going to be until I opened my mouth. I find that is a real big buzz." Ashcroft said his fruitful collaboration with the psychedelic dance duo actually got off to a rocky start. His first encounter with the Chems -- Tom Rowlands and Ed Simons -- was early in their career, at an after-gig party in Sheffield, hosted by Oasis. "We did attempt to throw the Chemicals off the platform. We had a friend who had a bag of mixed sort of eclectic things that we wanted to hear," Ashcroft chuckled at the memory. But before his crew could give the Chems the bums-rush, Ashcroft was brought up short by the sound the duo was managing to generate. "I was caught between a rock and a hard place, to get these guys off who we didn't know and to get our guy on, or leave them on and keep listening to this amazing music they were playing. That was the first meeting, and it was a bit surreal." In the intervening years, a friend of Ashcroft's, Keith Wood, kept pestering him with the notion of teaming up with the Chemical Brothers. Over time, the singer warmed to the idea. "So I got the word out, if they ever need me, I am there." The track sent to Ashcroft was untitled, and sounded almost identical to the finished song, minus the vocals. Ashcroft opted to follow the same method of collaborating he had used with turntablist DJ Shadow on the song "Lonely Soul" (from the U.N.K.L.E. disc "Psyence Fiction"). He listened to the track for several weeks, without ever formalizing any lyrical ideas, then turned up and free-styled his vocal. "With 'The Test,' I had no words written down and nothing in my head. But I had the whole arrangement of how the voices were going to work on the choruses. And there's a low-down voice that is difficult to pick up: 'I'm flying ...' It pulses on the chorus," he said. "'The devil came by this morning, said he had something to show me...," he says, quoting his lyric. "I went into this almost Scrooge-like vision, when he is visited by the ghost of Christmas past. But in a slightly more futuristic sense." The song's conclusion -- the repeated phrase "Did I pass the test?" -- carries a double meaning, Ashcroft explained. "Not only this character's story or my story through the last 10 years, it is me and the Chemical Brothers. It is me looking through the glass window at the Chemical Brothers: Did I pass the acid test? "It is a big gig taking on singing on anyone's album. I wouldn't sing on anybody's album if I didn't respect them. But (improvising) turns the heat up even more. In some sadistic way, I like to turn it up extreme. When they press play and record, I have to be in that space. It's good. It is a good way of doing it." Criticism of The Chemical Brothers' recent work is unreasonable, Ashcroft adds. "There are a few negative things about them that are unfounded and totally ridiculous," he said. "People analyze it or review it, but they have never stood in a club and experienced it. They have never felt the real, sheer physical nature of that music. The music they make needs to be judged on both levels. That is what the vocals and song structure brings to the Chemicals. Then it can exist on both levels. You can listen to it on a small pair of speakers, follow the story or the insanity, or you can follow the beat. "I respect their bottom-end and bass and drums, and amazing twisted sounds they can create. So basically, that is what it is about. They know they are bringing that to the party, and I know I am bringing something that ... in a club or on a radio or at home, the vocal will put you in a space and really kind of unify the track."